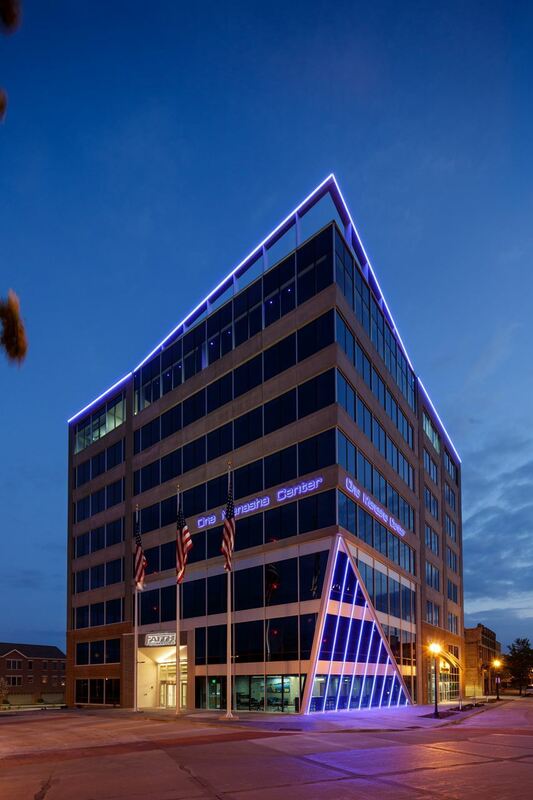 In beautiful downtown Menasha with views of Lake Winnebago and Little Lake Butte Des Mortes, One Menasha Center is more than a gleaming eight-story office building. One Menasha Center provides the home for Faith Technologies and provides the setting to showcase their innovation. Faith Technologies is using the new office building at One Menasha center to highlight innovation in the electrical and energy industries. The building features state of the art integrated building automation systems, energy management systems and fire control systems. Best practices in control systems are on display for all to see. Please join the WAEE for our September 2016 monthly meeting to learn about One Menasha Center - Innovation Center.